A natural disaster and emergency will threaten the lives of hundreds of thousands of people every year. In Tahoe, snowstorms can cause power outages, leading to loss of heat quickly. Also, deep snow can cause animals to become lost or disoriented, as their normal landmarks may appear different, and snow can dampen sound so they may not hear your voice. This can lead to lost pets in dangerous conditions. 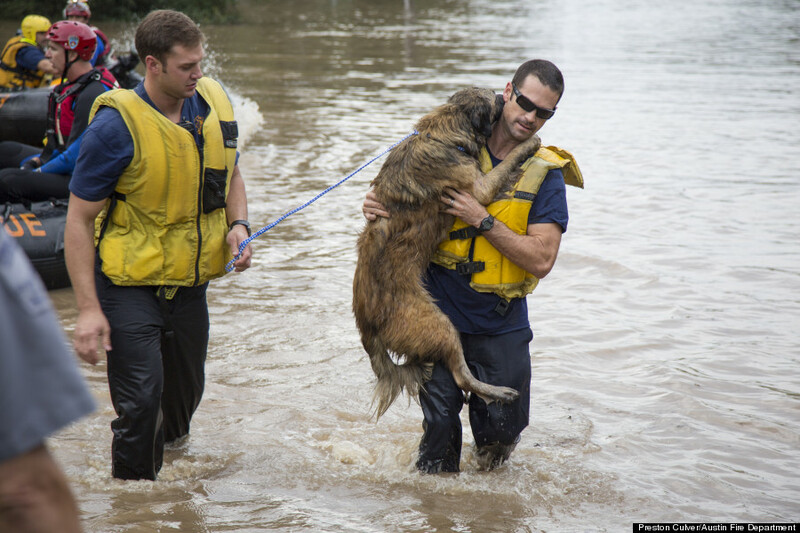 As responsible pet owners, we want to protect our furry family safe during these emergency situations. We at Blue Lake Animal Care Center urge all of our clients to take a few moments to try to prepare for when the unexpected may occur. Make sure your pet is current on all vaccinations, microchipped, and has a collar with ID tags. If your pet isn’t microchipped, we strongly recommend doing this as soon as possible. Microchipping your pet may be the best thing you do to prepare for an emergency. If your pet becomes separated or lost from you, this will greatly increase the chances of both of you being reunited. You can attach GPS chips to your pet’s collar in addition to help you actively track their location. If you do need to evacuate, you should be ready to take your pet with you. Many emergency shelters will allow pets. This is not guaranteed, however, so you’ll want to call your local SPCA or Red Cross Agency in advance to get this information. If you can’t find a pet-friendly shelter, look into other options, such as hotels that allow pets, friends, or family. If you are riding a storm out at home, or don’t have time to evacuate, you should still make emergency preparations. Keep at least 10 days supply of pet food at all times. If you have a storm shelter, stock it appropriately with supplies. Make sure your pet is safely inside before bad weather strikes. Have an emergency kit stocked and ready for your pet. This should include food, water, medicine, a leash, collar, as well as toys. Also consider a basic medical kit. Include a soft blanket to help keep your pet comfortable. Please contact BLACC for any questions regarding your pet care.